I rarely see this plant except in the hills above 500 m. It looks superficially like Veronica serpyllifolia ssp serpyllifolia but to me it always seems brighter and a larger plant. 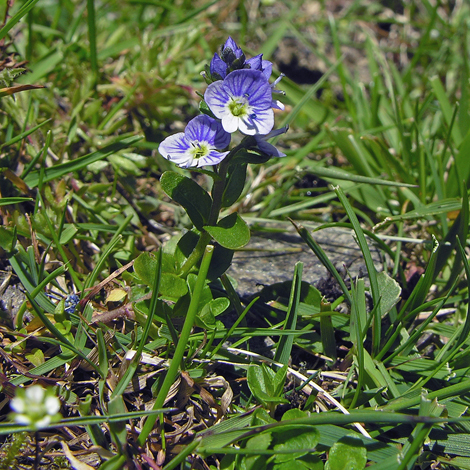 Stace says that most of the flowering stem in this sub species is procumbent while ssp serpyllifolia is mostly erect. Veronica serpyllifolia ssp humifusa is usually found in the hills but there are some sites in south Wales at a much lower level. Other than those the northern Pennines, Snowdonia and much of the Highlands are where you would find most of it. It does not occur in Ireland.